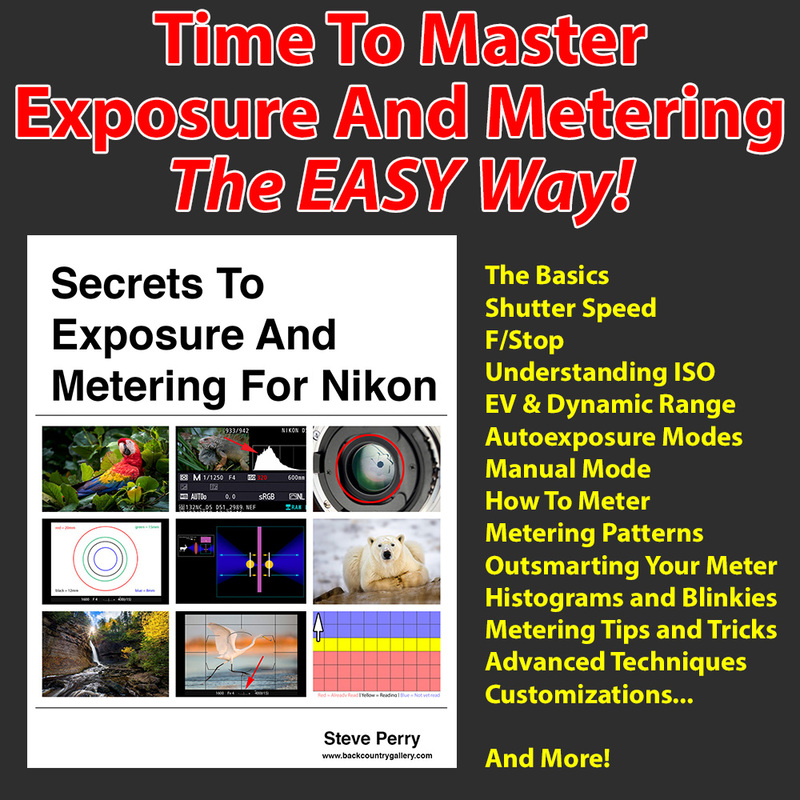 This new book is jam-packed with every exposure and metering technique I know, and I think it has, by far, the best information I’ve ever shared. Hundreds of tips, tricks, and techniques that are sure to take your photography to the next level. Note that the vast majority of the information in this book also applies to older Nikon bodies as well (D7000, D3, D300, D700, etc). However, their specific control layouts, menu options and external switch locations are not referenced in the book. (This also applies to the Df.). Additionally, much of the information in this book can apply to any camera, regardless of the brand, it’s just that the specific examples, customizations, and usage lessons are geared for Nikon. 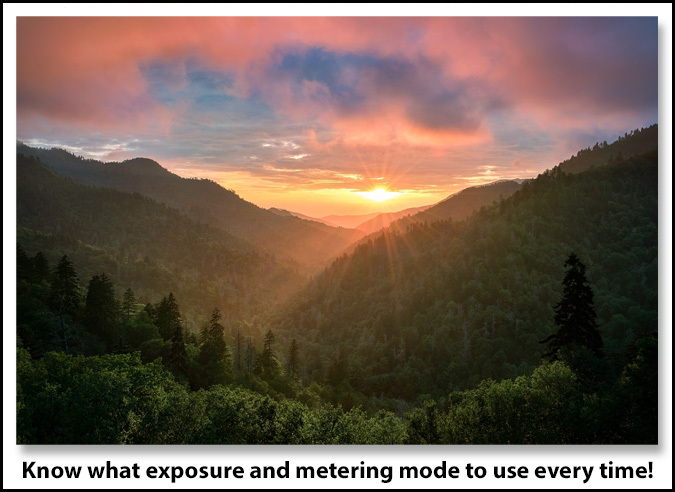 Master Your Exposure And Metering Controls! 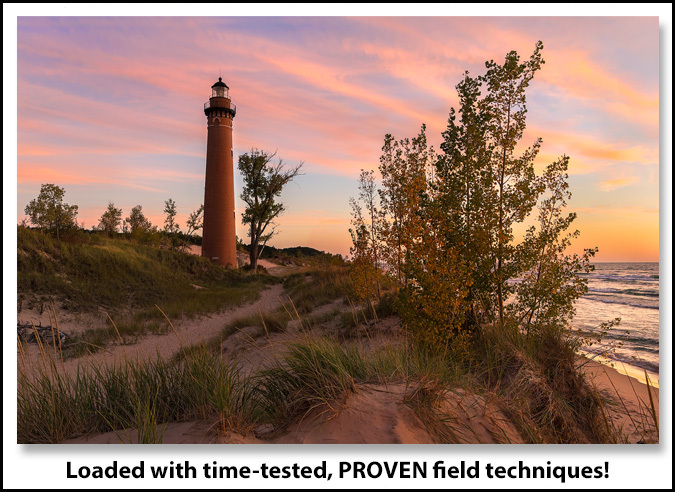 Exposure and metering – no other pair of photographic tools has the potential to make or break your images like these two! And yet, completely leveraging them to create phenomenal imagery is one aspect of photography that continually eludes many photographers. So many of us go through our photographic life with an incomplete understanding of things like shutter speed, F/Stop, ISO, metering, exposure modes, etc. Well, not anymore! This book fills completely in the gaps. 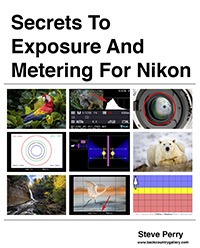 In this e-book, we tackle both exposure and metering – to the extreme! Just wait till you dive into the 670 + pages jam-packed with information, illustrations, photos, and examples that directly translate to killer images on your memory card each and every time you head out. Chapter after chapter we peel away the mystery, myths, and enigmas surrounding exposure and metering – replacing the confusion with the rock-solid information you demand. Plus, the techniques described in this e-book are fully field tested and you can see the real-world results firsthand throughout the pages. 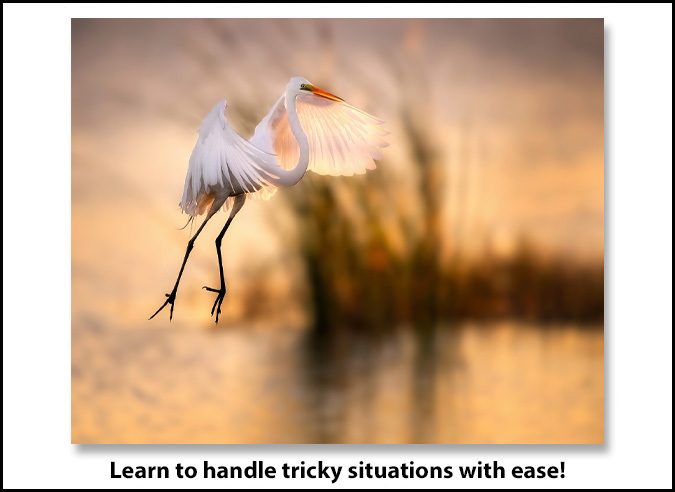 As for skill level, this e-book is written for every photographer. It covers everything from the very basics to advanced exposure and metering techniques, fully explaining everything in a non-technical, easy going style that makes comprehension both painless and fun. (I’ve been known to add a little humor here and there, what can I say?) The book takes the technical jargon and breaks it down into easy to digest bites that anyone can understand. No matter what your current skill level – beginner, intermediate, or even advanced – this book has something waiting for you to discover between the virtual covers! This e-book is actually like getting two books in one! 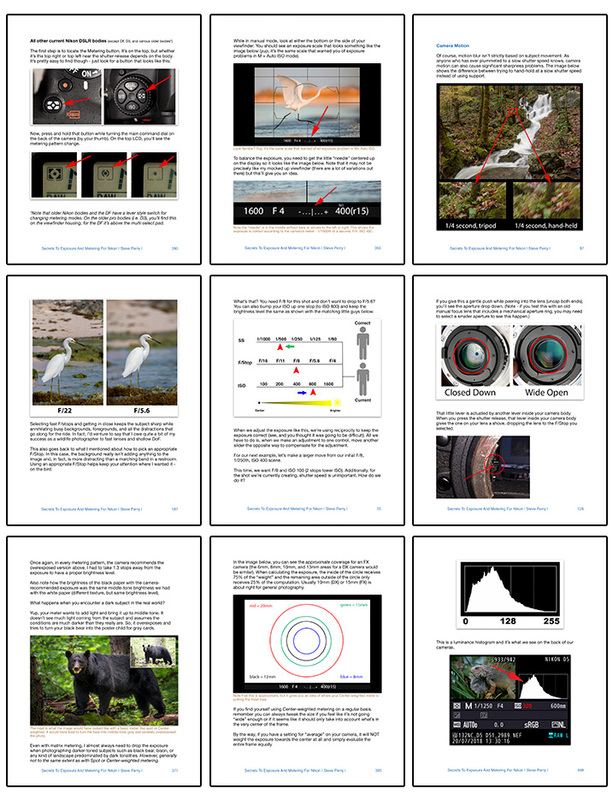 In part one of the book, we carefully examine each aspect of exposure – shutter speed, F/Stop, and ISO. We thoroughly look at ways to leverage each to our creative advantage and how to prioritize one over the other. We explore how to use the controls at your fingertips to consistently and effortlessly create wall-hangers from the images in your mind’s eye. We sweep the myths and misinformation aside and learn rock-solid, field-tested advice. Unlike many books, this doesn’t just gloss over what shutter speed, F/Stop, and ISO do – this digs deep to help you find new and creative ways to leverage the exposure controls at your disposal. In part two of the book, we start our exploration by tackling all the various autoexposure modes available in your camera – and when and why to use them. 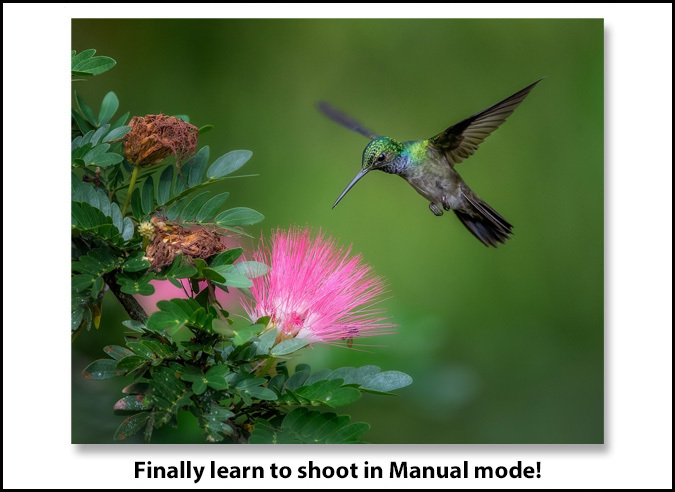 We also discover just how easy shooting in full Manual mode really is when you understand how it all works! If you’ve ever wanted to learn to drive the camera in Manual mode, this book will get you there via Easy Street! In addition, part two also explains how the various metering patterns work – everything from Center-weighted, to Spot, to Matrix, to Highlight-weighted metering are thoroughly covered. We explore how each thinks, and, more importantly, when and why to use each. 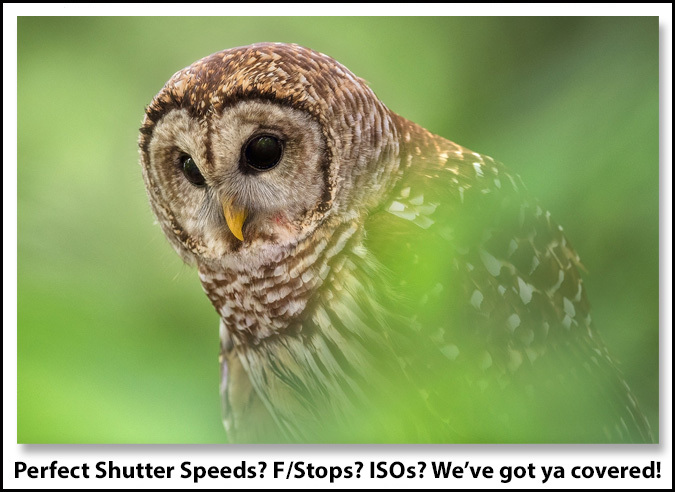 And, naturally, throughout the process we talk about how to juggle shutter speed, F/Stop and ISO to create the type of images you want on your memory card. 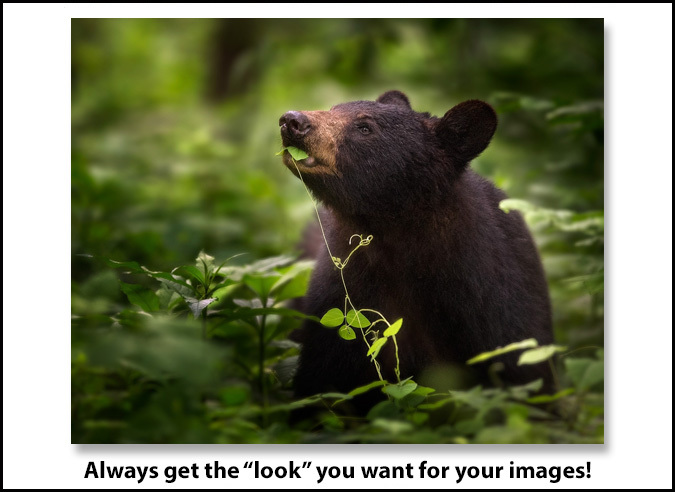 It’s not just enough to get a “nice exposure” – you also need to know how to use those controls to put jaw-dropping images on your card! We even look at advanced exposure techniques like ISO Invariance, ETTR, HDR, and so much more – there’s even a bonus chapter for night shooting! 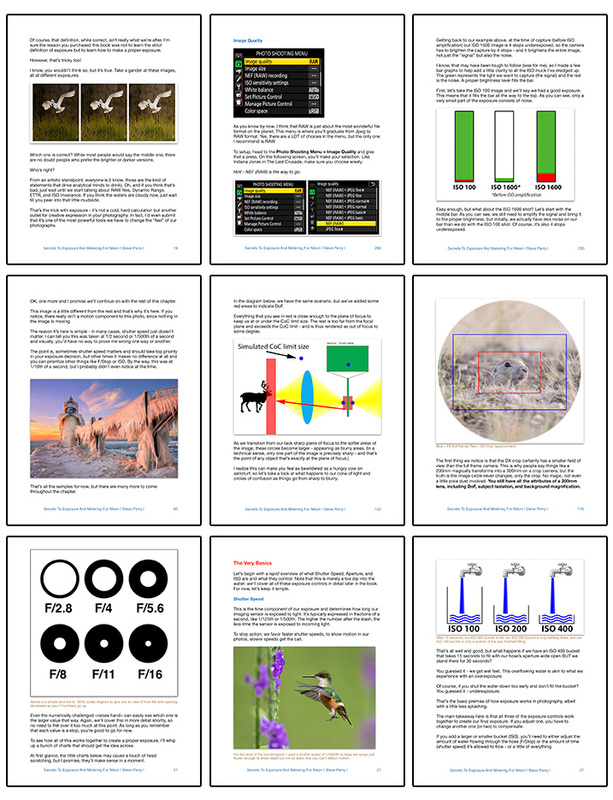 In addition to the Exposure and Metering book, you also receive an additional 60 page supplement covering deep focus techniques! This e-book shows you exactly how to achieve super-deep depth of field without resorting to small F/stops – A must read – and it’s yours FREE with your purchase! Discover the best type of camera support – tripods, monopods, bean bags etc. Why you MUST avoid “Idiot” modes! Yup, there is a massive amount of information here! In fact, we’re talking over 670 pages jam-packed with reliable, time-tested advice that I’ve been using in the field for years. Check out the sample pages below to get an idea of what’s in store. As you can see, hundreds of photos and illustrations to help drive the lessons home! So, that brings us to price. I’ve tried to make this completely affordable for any photographer – just $22.97 and it’s an instant download. This entry was posted in Techniques, Using Your Gear. hello steve, I follow you from Italy and congratulations for your passion and professionalism. Is the book also available in Italian? Just finished the book, another really worthwhile purchase. Both informative and entertaining. The one thing I’d like to see as an addition is on the use of flash, specifically in the context of wildlife photography. I’ve read elsewhere that flash is helpful in bringing out the best in bird photography. But it seems like it can also flatten the image and maybe bother the birds. What do you think? In your next update, a short chapter on exposure tips for using the flash would sure be nice. Outstanding. Although a reasonably proficient amateur, I got a whole new insight into using my D7200. After reading and studying your book, I am a lot more knowledgeable (and confident) in using my camera, in all the modes, especially ‘M’. I also learned what and where my main screw-ups are. Great book…even the similes…”If questions were diapers, that would be the most loaded one of the bunch?”…”an outhouse breeze”…Really? Need a place/site with more ‘exposure’ to the public to write a review beside your web site. N/A on Google? Amazon? Your book saved me over $3,000! I have a D4 that I bought used last year as my first FX camera (I have the D500). I’ve been thinking of upgrading to the D5 mainly because of the inconvenience of the ISO button location, it’s a pain, especially when hand-holding. I just finished the book and I’m so happy to know I can reassign the ISO to be handy like on the D500. Between that and the performance information you shared, which shows advantages over the D5 in some situations, I’ll stick with the D4 ’till it dies. Working my way through the book. It is a good read and already helpful. I like the technical specifics and explanations. They are succinct and do not “hand wave” or make things mysterious. I am a scientist by training and appreciate technical rigor and technical explanations. Already seeing things for me to practice and thinking about how I will have to adjust my thinking from my D750 and D600 to the new D3500 I got for just walking around photos. Thank you for the effort that went into this book. It is easily worth the price. I was out this weekend shooting wildlife. What I learned from the book influenced my shooting and setting choices. Got some nice shots and more practice required before the thought process becomes automatic but a good start. Shooting pics of domestic camel herds in the flats and wild Hamadryas baboons in the mountains near Taif, Saudi Arabia. Thought provoking read … especial.the DOF discussion regarding distance and how to exploit distance. A real ePub version would be nice. The bookmarking is nice vs just the pdf. The IOS save to Books creates a version with lots of black boxes before every image. Thanks for the kind words and feedback. I am confused about the iBooks thin though – what version of iOS? I have the current iOS on my iPad and it looks as expected, no black boxes. I’ve also not had anyone else report that issue. Morning Steve. Yes, now i have all three. After thoroughly enjoying the first too, and referring back to them often. Purchasing the third…no brainer. Just finished Shutter Speed section. Enjoying your attention to appropriate detail and sense of humor. Thank you for the time and effort you put in to sharing your photography knowledge. Reading your books certainly enables me to expand mine. Much appreciated. Thanks so much for the kind words 🙂 Enjoy the new book! Wow – thanks so much for the kind words! It’s incredibly kind of you to post. Thanks!! Thanks Robert I have Steve’s other books which are great, maybe a bit new in here on Auto ISO, or Nikon settings I may have missed…always ETTR to get enough shadow detail, but not always successful. I probably get it anyway just to support Steve, as he is doing great work helping people . I am like you and bought the book. While I have 30 years starting with a manual only, no in camera metering. I have still found the general exposure / dof reading interesting. Excellent book deserving 5 star recommendation. High value in having emphasis on clear explanations of the fundamentals always organized to reveal practical implications for how to make choices among manual and automated settings as tools to achieve results. 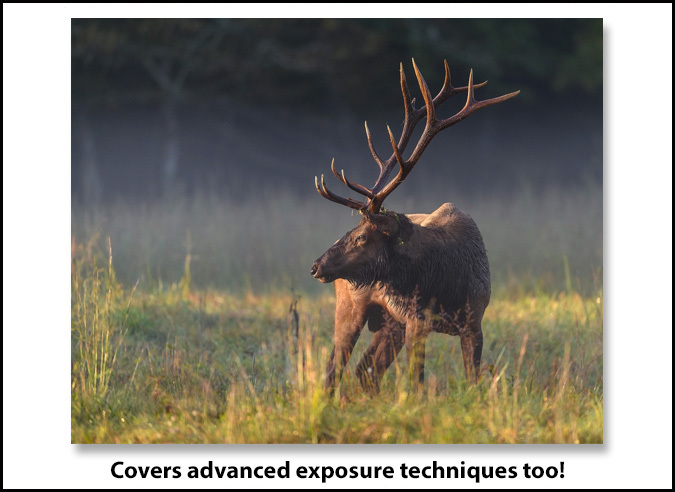 Each topic covers the basics well, then goes on to include in-depth material rarely found in typical books about exposure and metering. Excellent companion to Steve’s valuable book on Nikon auto-focus systems. Photographers using Nikon cameras should buy both books without any hesitation. WOW – Thank you Robert!! This is awesome! I should make you a footnote on every image I print. I’m just about to purchase your new book, very pleased it included the Z6/7 as well as the DSLRs. I suppose you’ve got nothing to do now its released (LOL) so could you please update your Nikon Autofocus book to include the Z6/7 as well? It’s coming – but in the form of a new book. Too many differences between DSLRs and mirrorless to put them together. Too messy. Oops – I forgot to add that info to the book! It’ll be in the next update under Histograms. In short, it’s just a guide and not as reliable as the finished histogram. It’s based off of the anticipated jpeg, not RAW, and there are reports it can show a “false” underexposure in dim light, even though that’s not the case. So, I still recommend shooting, verifying, and then adjusting (as needed) for ETTR. I bought it this morning and was impressed as I always am with your books Steve. One question, can the .pdf be broken down into two or three files? As it stands I cannot transfer it to any of my tablet readers as it is over 50 megabytes. Not at this time – however – send me a message via my contact form and I can get you a smaller version. Images aren’t as nice, but it drops the size down to well under 50MB. Thanks Steve, I managed to find a workaround then spent the next four hours glued to the book. It’s a terrific read. Hi I wish these books were available in the kindle store. I bought Stunning Wildlife and while I was able to add it to my kindle library a lot of the reading/page features are unavailable. That’s actually the reason it’s a PDF. E-Readers work better for books that are mostly text – when I’ve tired to output any of these e-books in kindle/ epub format, it pretty much wrecks ’em. Saw your email first thing this morning and had it bought and downloaded before my first cup of coffee. Always enthused to read and watch your content, Steve. Probably, like many others, have been looking forward to this ever since you announced plans to write it. Will dive in after work tonight. A big advanced thanks. I have been waiting and finally it´s here 🙂 I will place a order when i am back home. I got your “Secret to the Nikon Autofocus system” and “Secrets to stunning wildlife photography” and I am sure this one will be as good as them. Your youtube channel is also a source to knowledge. Keep up the good work! I’m going to order this book, should be a fun read to see what I’m doing wrong….I see your prices have increased, must be good market penetration! Congrats Steve. Ordered. Can’t wait to dig into it!